Would You Get One of These Memorial CBGB Tattoos? Okay, so Glenn Branca thinks CBGB was “just a shithole where bands got up on stage and played,” but others think the place was pretty special. 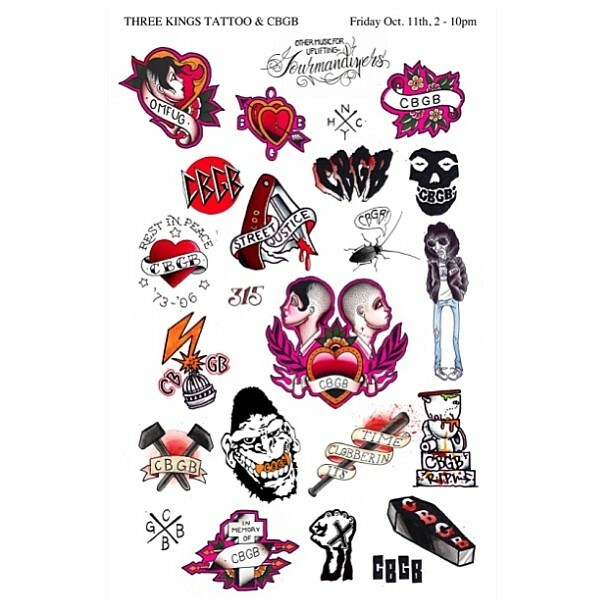 And many of those folks are likely to converge on Greenpoint today, because Three Kings Tattoo is giving away one of these memorial tattoos between 2 p.m. and 10 p.m. It’s first come, first serve, but don’t expect quite the kind of line those $13 tats got: these are going for $100 to $300. 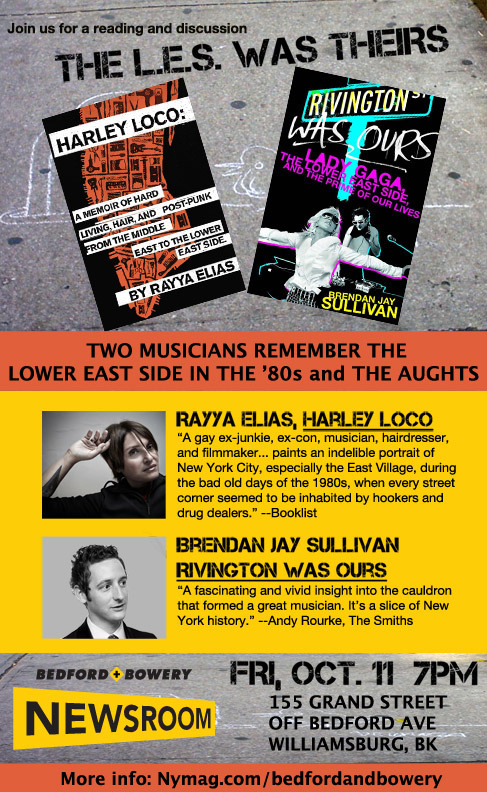 When you’re done getting inked, head over the the B+B Newsroom to hear Rayya Elias, who played at CBGB back in the day, read from Harley Loco, her memoir about her rough-and-tumble life in the ’80s East Village, followed by Brendan Jay Sullivan reading from Rivington Was Ours and sharing his memories of running with Lady Gaga on the Lower East Side. The free reading and discussion starts at 7 p.m., at 155 Grand Street, off of Bedford Ave., in Williamsburg.